As with any automotive manufacturer, transparency towards customers and clients is the way to build trust and help foster a better relationship, creating more brand loyalty and understanding. Once a vehicle is bought, it doesn’t stop there, as the service life and warranty work done on the purchased vehicle must be taken very seriously, as this not only makes sure a vehicle is in working order, but retains the satisfaction of the customer’s vehicle purchase decision to begin with. 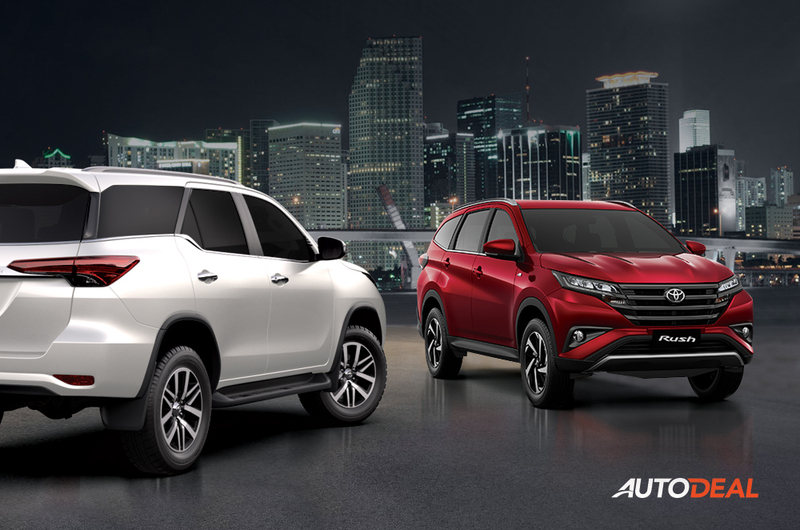 Toyota Motors Philippines has recently released information regarding their best-selling vehicles’ associated costs of ownership, and it’s pretty detailed. 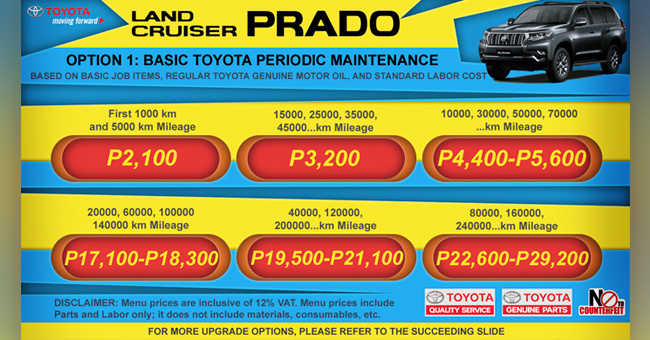 Toyota Motors Philippines is generous enough to share the associated costs of each preventive maintenance service (PMS) interval for its vehicles. From the Avanza MPV to the Camry midsize sedan, each vehicle had its own costs when it came to labor and parts. Interestingly, the Toyota 86, its performance-oriented 2-door coupe, wasn’t included in the list. We’ve decided to create a simple set of infographics for Toyota owners out there, making it easier to view the costs associated with your ownership and mileage. However, there is a disclaimer to these prices. 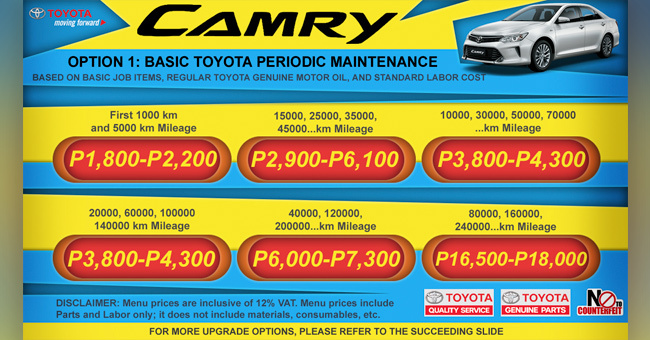 All prices include 12% value-added tax (VAT), but can vary at service centers outside Metro Manila. The prices only cover parts and labor, and do not include the cost of materials and consumables. 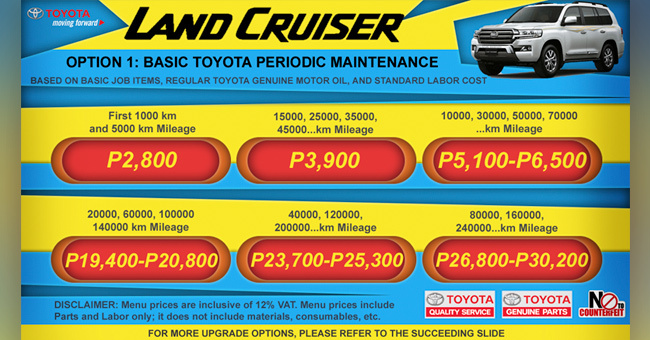 Toyota genuine mineral oil is also the basis for pricing but will vary depending on the vehicle. Additionally, more labor hours or parts may be necessary for higher mileage vehicles, and that will entail higher costs. Refer to this information as a ballpark figure, if you will. Also, remember that prices can change without prior notice, so it’s good to ask about the total cost of what needs to be done at each scheduled service interval. If you’re looking at some insight into the cost of ownership of a Toyota, this is as close as you can get to figuring out the budget for each service visit.